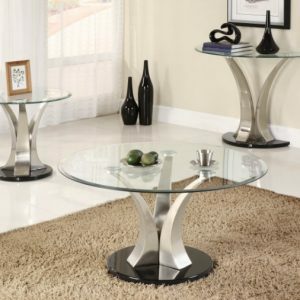 This contemporary stainless steel round coffee table with black glass top is a combination of elegance and functionality. 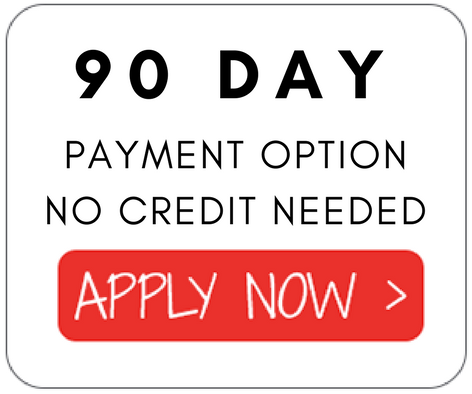 It offers a stylish tempered glass top, unique in its round shape and coated in black. The top is supported with stainless steel legs for sturdiness and longevity. 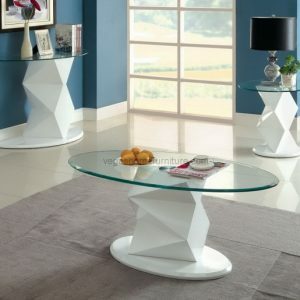 This table is comfortable and fashionable and will be a beautiful addition to any contemporary living room. 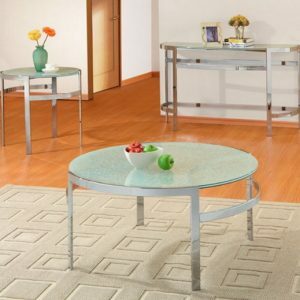 Features a round coffee table stainless steel base and tempered glass top in black color.